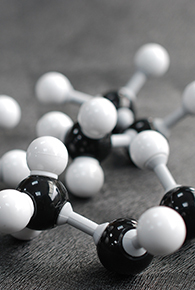 Plastics, depending on their physical properties, may be classified as thermoplastic and thermosetting materials. They are classified by their heat resistance, Crystalline/amorphous, molecular chain, and whether if it’s natural or artificial. B.Crystalline plastics: PE, PP, PA, POM, PTFE, PETP etc. Thermosetting plastics: PF, UF, MF, UP, SO, EP etc. Thermoplastic plastics are also known as thermo-softening plastic. Their molecular chains are not cross-linked therefore demonstrates plastic elastic behavior and are thermo-formable. It also melts when heated and solidifies when cooled. Thermoset materials are usually liquid or malleable prior to curing and designed to be molded into their final form. They can no longer be shaped after hardening. They also cannot be melted. However, they do offer good chemical resistance and a high level of thermal stability, as well as being hard and brittle. A crystal structure describes a highly ordered structure, occurring due to the intrinsic nature of molecules to symmetric patterns.  Plastics usually have a crystalline structure, even PVC (has low rigid structure) contains 20% crystalline lamella.